As I was updating my timesheet templates this week, I got curious to know how people are using them in their businesses. I don't mean how they actually edit the spreadsheets, but rather how they integrate them into their payroll and time management systems. It would be very helpful to others to know some tips or tricks about how YOU use the timesheet templates. Do you just print paper copies? Do you have your employees email you the completed timesheet? Do you actually require signatures? What do you use to keep track of the hours? Does using the timesheet template really work for you, or are you only using it to avoid paying for some other service? What would make it easier or more useful? Have the employee update it online. Save a backup copy at the end of each week. At the end of each week, I can process the payroll without ever having to deal with paper or getting sent copies of timesheets via email. After recording the hours in my payroll spreadsheet, I clear the timesheet and update the start date. [edit: meaning that i delete the times/hours that the user entered into the timesheet, so that the user can start with a new blank time sheet]. That is the signal that lets the employee know that they can start updating the hours for the following pay period. I've been doing this since I became an employer, and haven't had any problems yet. I'm using a slightly modified version of the Biweekly Timecard so that I can see the hours worked based on specific projects. I don't bother with the signatures. Now it's your turn ... how are YOU using the timesheet templates? Hey this is actually what i need. I use spreedsheet for timesheet template. Wow! the way you explained the tips and tricks are absolutely brilliant. i have one doubt, i could not follow after this step,(After I’ve recorded the hours in my payroll spreadsheet, I clear the timesheet and update the date). If you can please explain it again. But one thing the visitors must follow is maintaining the timesheet template in spreedsheet is easy,reliable,cost-effective and workable rather compare to web-based time sheet service. I just found you’re website and like it alot! I’ve tested this type of time-reporting with own-build simple timesheets with somewhat different results. Some employees get this right away and some are not that computer familiar and tend to delete lines and formulas. Perhaps there’s a way to lock cells, haven’t tried that. What I would really want is some way to connect different google docs. And to be able to choose project from a drop-down list or something like that. Jon you just made my day! Thank you! Your website really made me give Google Docs some considerance as a timetracker. And with this new functions in their spreadsheets I actually think I’ve found it. I’m the all in one Finance Manager/Administrator/Organizer at our small company and we don’t use a software for time-tracking. I’ve searched a lot for a good cheap software to use but they are all a bit too expensive, especially the ones that match my requirements. I’ve always liked excel and how you can put together simple sheets that fit your needs without too much effort. Today I will begin to build my own system with Gdocs :) I think I will try to put in a quote-order-invoice experiment as well. The biggest issue will then be the safety-aspect I guess. I don’t run Google Apps at the time, which I figure would be more reliable. Long post. Thought I just give you some feedback the help you’ve been. Thanks again! Thanks for the free downloads provided. It has greatly helped me in formulating faster and efficient methods of executing my tasks. In fact I have utilized most of the downloads, and dicovered that most stress are now eliminated. 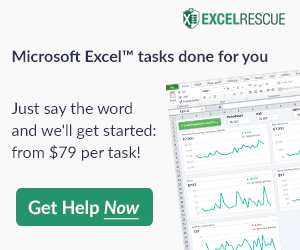 Hi Kim, The biweekly worksheet should be there, though if you’re using Excel 2007 sometimes the inner window isn’t maximized, so you don’t see the tabs at the bottom of the screen. If that’s not the problem, please email me a screenshot of what you’re seeing and let me know the exact filename of the file you downloaded. Thanks so much for this template. It is easy to use and functional. The issue I am coming across is printing. When I print, it comes out small and only on one side of the paper. Please advise. @Sheena … Sounds like you might need to adjust the print settings (page layout). See the support page for info about printing. What does your software cost? Do you have monthly charges? Or is there a one time up front fee to purchaes your software? Are you compatible with Quick Books? Can we import you time sheets and invoices directly into Quick Books? @Brice…The timesheet templates do not cost anything. They are not compatible with Quick Books. Will you update the time sheets for 2014? We use the bi-weekly with breaks. Thanks. @Chuck, Nothing needs to be done to update them for 2014, the dates can be changed at will. How do you change the year on the reference calendar? @Rose … you can enter the year in the field that is above the reference calendar. @Leslie, I’m assuming you are talking about this timesheet (employee-timesheet.xlsx). The only thing I can think at the moment, assuming you haven’t made any other changes, is that you need to enter just “8” and not “” because “” will be treated as text. Is there a way to make this a bi monthly time sheet? @Rosita, The monthly time sheet on this page could be turned into a bimonthly timesheet by adding more rows. @Dan, Can you please email an example (send me your copy of the spreadsheet), because I have not been able to produce any errors in the time-card-calculator_biweekly.xlsx file, though this might not be the file you are referring to. Is there anyway to convert this to a monthly timesheet. I like the formatting of this better than the download for the download you have for monthly. @Treena, Please email me and let me know the exact filename of the timesheet(s) you are referring to. Thanks. I love your spreadsheet. I use a similar method as yourself, no printing involved. I use dropbox, copy into a master sheet, clear the contents, update the date and replace into dropbox for my employees. This works for me. One quick question, can I delete a column without affecting any formulas? Thanks so much for this spreadsheet. @Leigh … depends on which spreadsheet you are using and what column you want to delete. There are some columns in the timesheet templates that could be deleted, although it might be better to just delete (make blank) the column label if you don’t need the Unpaid Leave column for example. Help Please… How can I use the biweekly template on a speadsheet in excel with 20 employees instaed of having to do 1 per sheet. The formulas are set for the 1st page only and I am not familiar enough with how to change all the formulas to copy and paste for an ongoing list . @Michelle, short answer … I don’t know. It depends on what you want it to calculate. If you just want to enter the hours in manually without calculations, you could try the Payroll Register. @Paul … The overtime calculations in the other worksheets are based on weekly schedules. You could add daily overtime without too much difficulty, but I’m not sure how you could do overtime calculations that are based on 40 hours per week if your pay period is monthly or semi-monthly. Previous Post: Why Have a Home Inventory?